With Morlita we have a family bond SL, we have many years of great friendship, besides she spin music in many openings, since the beginning of MetaLES. We are happy to have this artist and friend this time with an exhibit of image and sound. Morlita gets her images from RL photographs and then transforms them with design programs. She is an artist known for her music, but she is a very multi-faceted artist. Always has many projects in different disciplines. At the end of the exhibition, we find a sound machine, where you can experiment and make music. Thanks so much Morlita for your art! Morlita Quan is the creator of Uniart Group in SL. Hauling, on land and in the sea. Exploring limits and bypassing any respect for them, while stringing our catch into a growing story. His work conveys softness, emotion and fantasy. Has its own palette of colors that characterizes his work. The treatment is delicate and personal. Great mastery in the choice and position of its textures that create a complex simplicity. Installation, Machinima & Music by Haveit Neox. This exhibition consists of three heights. Under the sea we could think, that would represent our society of consumption, elements used and discarded, eaten by time and coral, but this sea is dead. 3D installation artist, and creator of indigenous centaur architecture on the sims ACC Alpha, and Sparquerry. For me ChimKami has that cute grotesque touch, she likes strong colors. you lose the sense of right and back -up or down. Finding in this way the works of the artist which are located illogically. Between spaces decorated by ChimKami and Leica Arado. Providing a fun and illogical experience. Landmark to ILLoGism by ChimKami @ MetaLES ..O.. I would like to share in this blog post with ChimKami, three excellents photos made by Yoon. On pourrait penser que JadeYu nous offre une Opera du Metaverse. Nous discernons les éléments essentiels qui définissent ce genre artistique. Déclamation , bien sûr, dans le sens où c’est face à un public qui voit et entend, et est le témoin. La mise en scène, une grande scène de textures technologiques, des idées, des images qui pourraient être perçues comme menaçantes ou dangereuses, araignées, tissage mi-humain dans son anxiété de réseau qui les emprisonne sur leur technologie organique. Ainsi, la performance dans cette opéra est réalisée par l’artiste elle-même, mais pas tout à fait. JadeYu offre un spectacle qui nous invite à participer et à méditer. Tout est allumé is the new machinima art and animation exhibit by Tutsy Navarathna at MetaLES ..O..
Tutsy’s work, always of exceptional quality, with machinimas gifted of aesthetics, intense concept and his particular humor touch, make us travel between reality and virtuality, among fables, myths and solipsism. The virtual world, its landscapes, its characteristics and possibilities, are recounted and devised. It is like observant who becomes narrator of metaverse, leading us to a new dimensions. Tutsy’s installation transport us to a factory to the imaginary journeys and perhaps not so imaginarys, offers us a inimitable travel of a new experience visual and acoustic show that you should not miss. It’s because we only have one life we need . . . several. Virtual reality, augmented reality, virtual life, immersive worlds … These new words describe a part of our future. My movies in Second Life try to show how virtuality is part of our reality. The influence it has on our thoughts, our artistic creations, our friendly or romantic relationships. A phenomenon still very young, virtual life has a bright future and like all major revolutions it is worth to see more closely, trying to understand, even flying too close to the sun and burn your wings . . .
Machinima is a term from the English (for “machine” which means machine and “cinema”) which refers to creating animations using video games or metaverse grid. In a broad sense, any piece of linear audiovisual content as a short film, series or film made with settings, characters or ‘engines’ game or Metaverse can also be seen as machinima. The key is that creation is given in real time. Opening party machinima by Tutsy, genial! Full sim dimension ,the big exhibition full of movies and animations. Special thanks to Yoon (Toyono Resident) for her technical support and effort that has made possible this installation. If you have any problem for see the videos in world, Tutsy give the urls for open with the browser, in points of the exhibition. This work is my acknowledgment of greed for material things of human kind which is so powerful that it is going to cost us our own existence. This is not effort to fight it, it is not made in least hope to change anything, it is just a recording of my observation of human society at this point. I dedicate this work to person who unknowingly inspired it, one of the richest people alive, woman who made her fortune on coal digging, Gina Rinehart. Machinima 360° by Erythro Asimov of build Tumor by Igor Ballyhoo @ MetaLES..O.. Thanks so much Erythro is amazing! Muchas cosas… Que aparte de ser una gran amiga, es una gran artista. Su estilismo elegante, su clase y ese aire de mujer fatal que nos cautiva. Ha instalado en MetaLES una gran exposición fotográfica llamada 5Y Smoking, en la cual ella, la femme fatal nos ilustra con gran maestría en esta exposición de MoDeArT sin igual. El hilo conductor es su cigarrillo. El cuidado con el cual trata sus fotografías es de fina profesionalidad, donde el manejo de las luces y sombras hablan por si mismas, en su estilo siempre minimal. 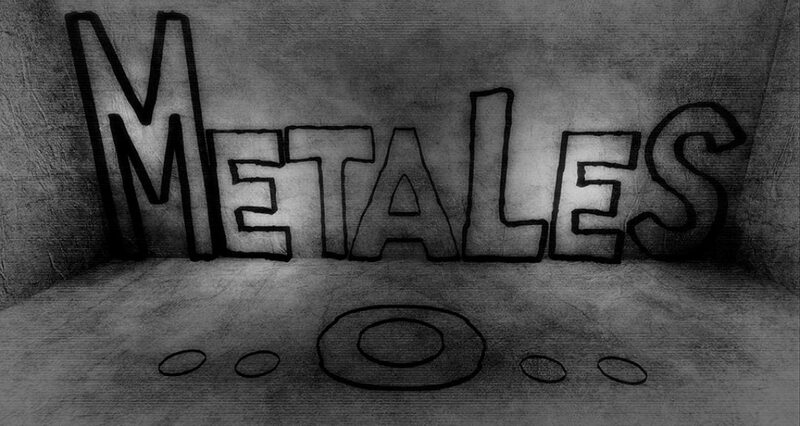 Como se inician también las categorías de Cinema MachinimaArt MetaLES y Digital Art MetaLES. Aparte de continuar como siempre con el Per4mance MetaLES ..O.. para los artistas constructores. A book available for purchase documenting and complementing the interventions. A full-sim installation at the sim MetaLES, July -August 2016 in the virtual world of second life. Interactive, a great game scripts and geometry of the cubes moement, with the precise and perfect displacement of 1000 prims, changing with the impact of the participant. Rebeca Bashly for me is one of the best artists in Second Life, has a work that radiates strength and concept. When Rebeca puts her works, personally cause in me an impact as if a strong heartbeat, were as big as the heart of thorns shown in this installation. Elegance is one of its great qualities, creating forms and details of an exquisite aesthetic. And here we can see several of the plays performed Rebeca Bashly in her immortal game of instalation art.